Narconon Colorado is proud to be an enduring part of the drug rehabilitation community. Our program is licensed through the Colorado Office of Behavioral Health. The facility is inspected regularly by the Office of Behavioral Health and the Larimer County Health Department and other county agencies to ensure our program is compliant with all pertaining state and county regulations. The Joint Commission is a national accrediting agency which accredits and maintains high standards for Hospitals, Mental Health and Behavioral Health facilities. The accreditation helps our organization to assure that we are providing high standards of care, which is the most vital part of our mission. 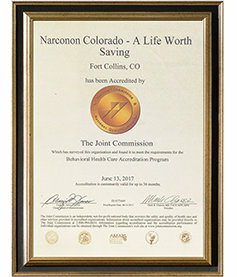 Narconon Colorado—A Life Worth Saving is a member of the Fort Collins Chamber of Commerce. 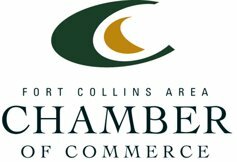 We take great pride in our involvement is helping Larimer County’s addiction crisis. Narconon Colorado—a Life Worth Saving proud to maintains an A+ Better Business Bureau rating. The BBB is a non-profit organization, protecting consumer trust since 1912. It is the longest standing and most credible agency of its kind. 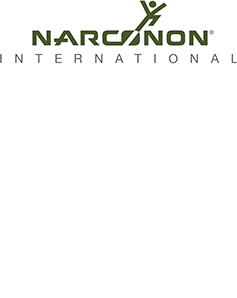 Narconon Colorado is licensed by Narconon International to use the Narconon trademarks and service marks to operate a Narconon drug rehabilitation and education program.